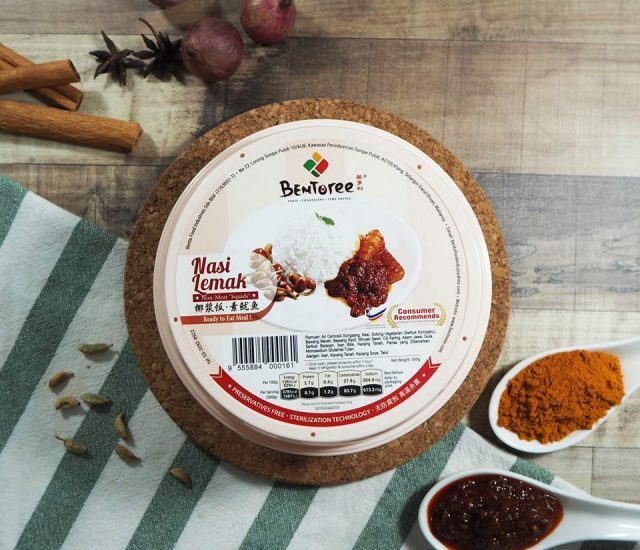 Bentoree, the house brand of Bento Food Industries Sdn Bhd, unveiled its range of ready-to-eat (RTE) meals and desserts at Malaysia Halal Expo 2019. The RTEs are free from preservatives and have a shelf life of 12 months. They can be kept in room temperature and no freezer and refrigeration is required. The unique thing about the Bentoree range is some of the products are mock meat. The Nasi Lemak comes with non-meat “squids” that are made from konnyaku or konjac. It retains the usual accompaniments that are common to nasi lemak including anchovies and peanuts, which means the nasi lemak is not entirely vegetarian. It is more suited for flexitarian who are in for a meat-free day. The other RTE is Bentoree Curry Rice Non-Meat “Mutton” where the “mutton” is made from mushroom and is seasoned with chicken stock, curry powder and other ingredients. Consumers also have the option of going for the Bentoree Nyonya Rice Non-Meat “Mutton”. For vegetarian rice dish, the Bentoree Veg-Sticky Rice is 100% vegetarian and comes with the suitable for vegetarian logo on the front of the packaging. For dessert, the company has three products – Green Bean, Eight Treasure and Red Bean. 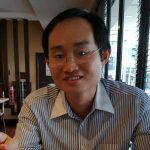 The Bentoree range can be bought on Shopee and Lazada. 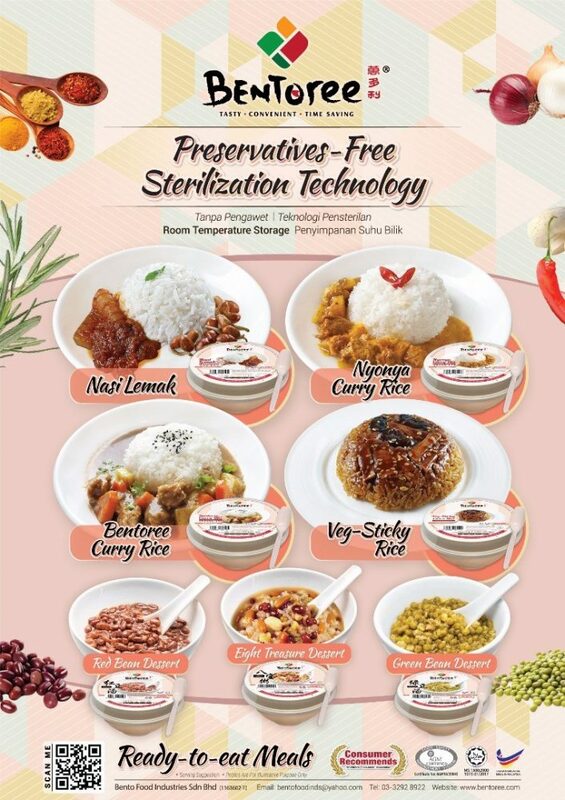 All the products have been certified halal by JAKIM.